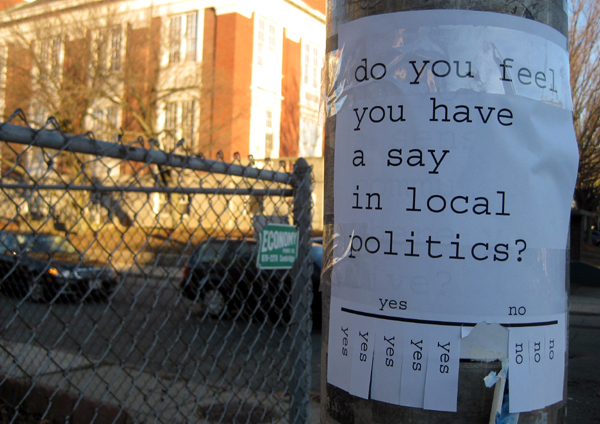 Street surveys: small flyers that ask big questions about community. 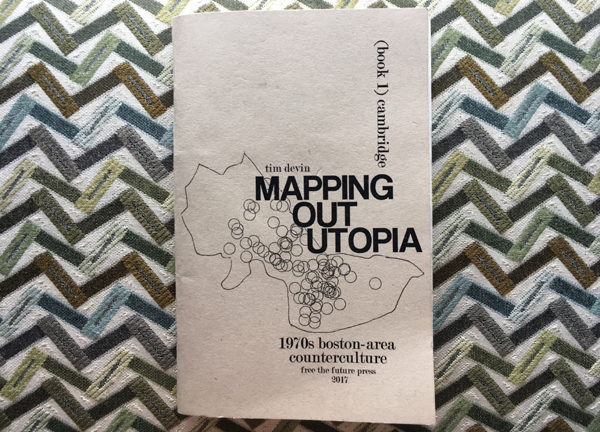 "Mapping out utopia: 1970s Boston-area counterculture: book 3, the surrounding communities (including Somerville, Brookline & Newton" A look at 70s countercultural orgs and spaces in the areas surrounding Boston. 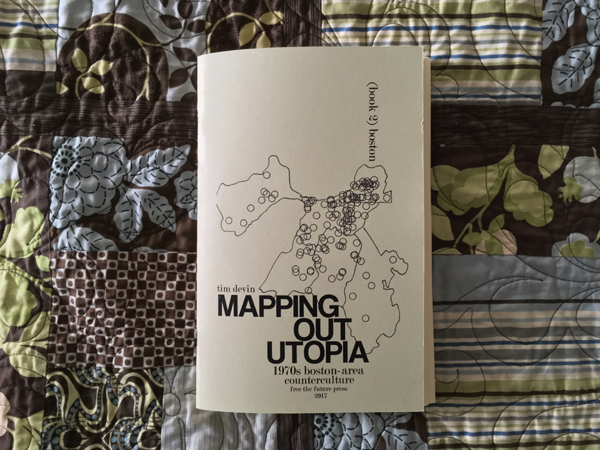 "Mapping out utopia: 1970s Boston-area counterculture: book 2, Boston" A look at 70s countercultural orgs and spaces in Boston. 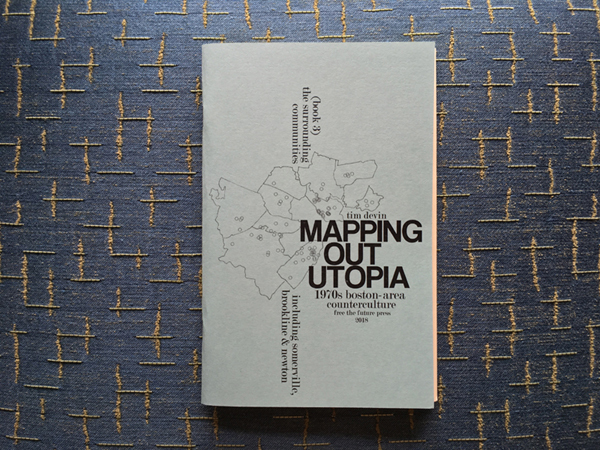 "Mapping out utopia: 1970s Boston-area counterculture: book 1, Cambridge" A look at 70s countercultural orgs and spaces in Cambridge. 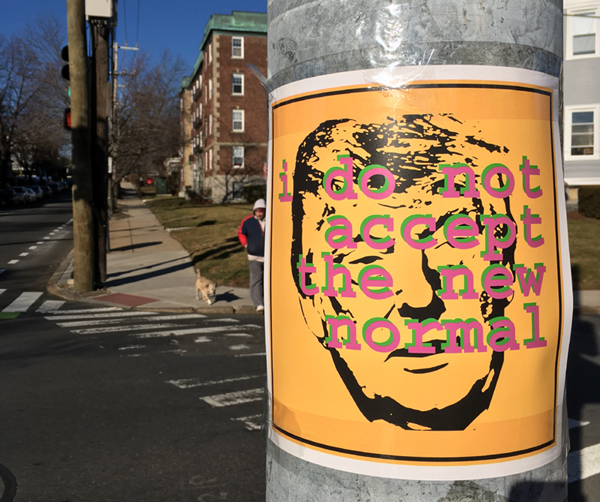 "I do not accept the new normal" a poster about our new president. "What are you raising them for?" 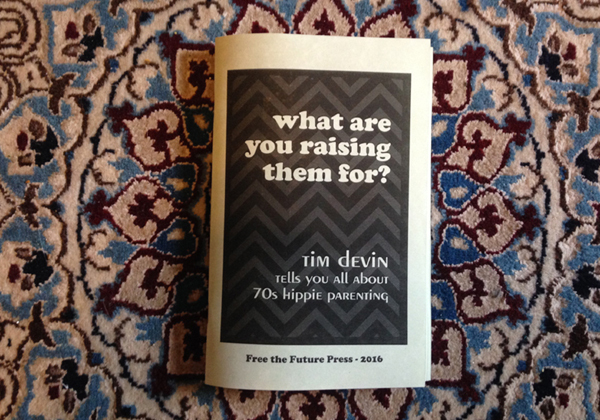 A zine about 70s hippie parenting. 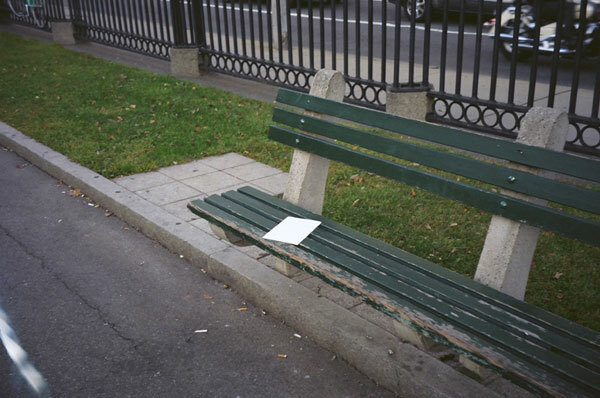 i left this here for you to read: a hand-made magazine written, edited, designed, and illustrated by anyone who wanted to help-- and then left in public places by other volunteers around the world. 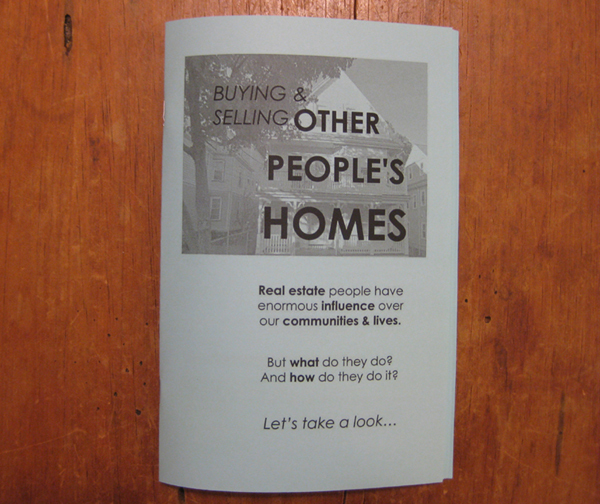 Buying and selling other people's homes: Real estate people have enormous influence over our communities and lives. But what do they do, and how do they do it? 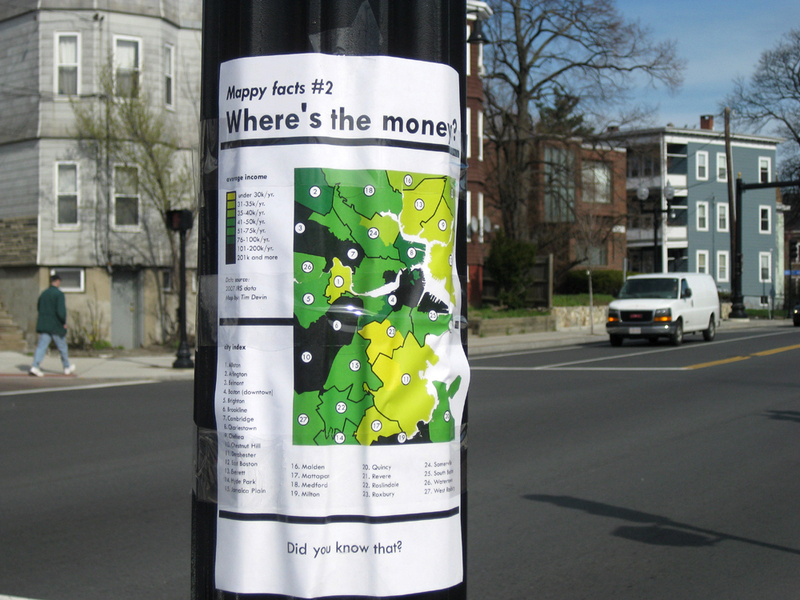 Mappy facts: guerilla infographics showing stats on wealth disparity, crime rates, and where our water comes from. 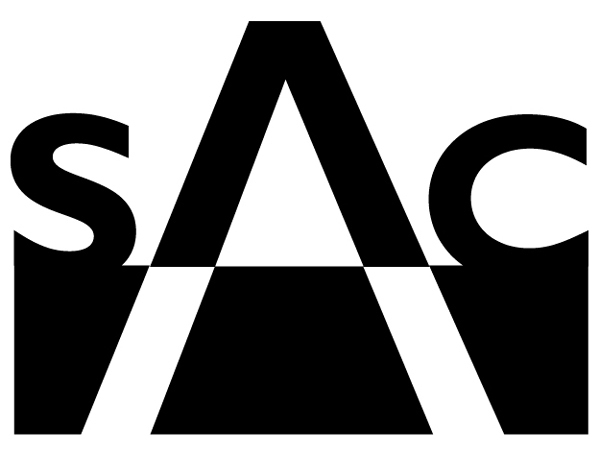 Getting by in Boston: a series of meetings and an online forum created to discuss surviving as an artist (or musician, or...) in our expensive city. 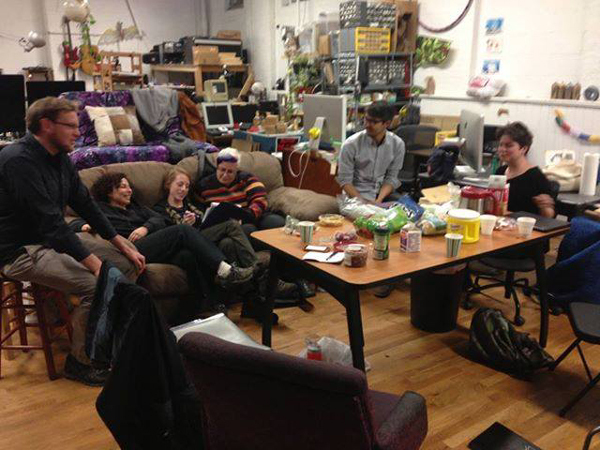 Space Equals Work: a community effort to preserve and expand artist and industrial spaces in Somerville, Mass. 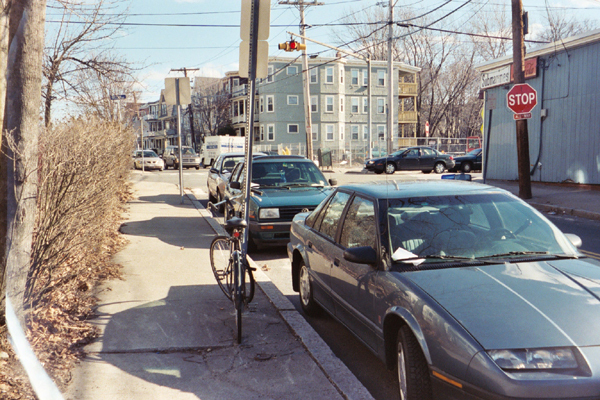 The history of Somerville, 2010-2100: a community art project that explores what the future might be like--by asking people. Email flyers: leaving a highly-personal, but fictional, email exchange on car windshields in 6 different cities-- and seeing how people respond. The Somerville Stock Exchange: a community forum, a fundraiser, and a different take on what a stock market can be! 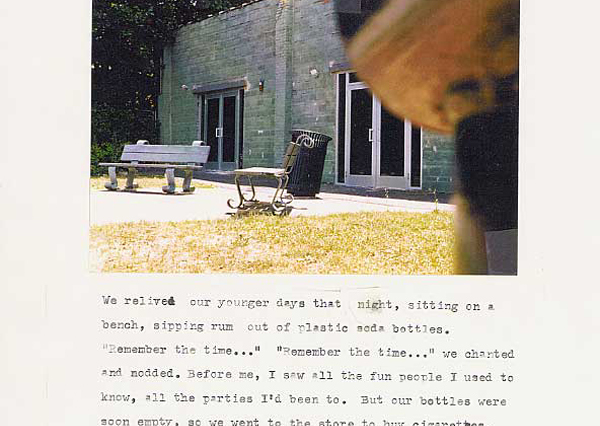 The flyers project: site-specific flyers describing true memories and daydreams. "The last time I saw...": collecting and mapping people's stories of the last time they saw someone who was important to them--but who they no longer speak to. 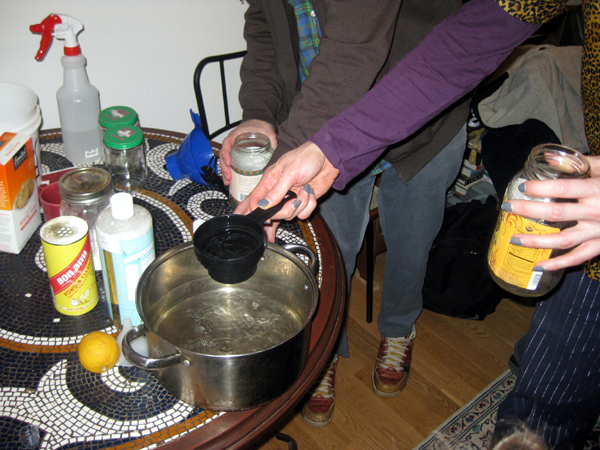 Green-cleaning: a workshop about DIY home cleaners-- nontoxic, cheap, and environmentally-friendly cleaners anyone can make themselves. The Somerville Arts Council. I was on the board of this wonderful cultural council for five years. how to be an artist and a parent? 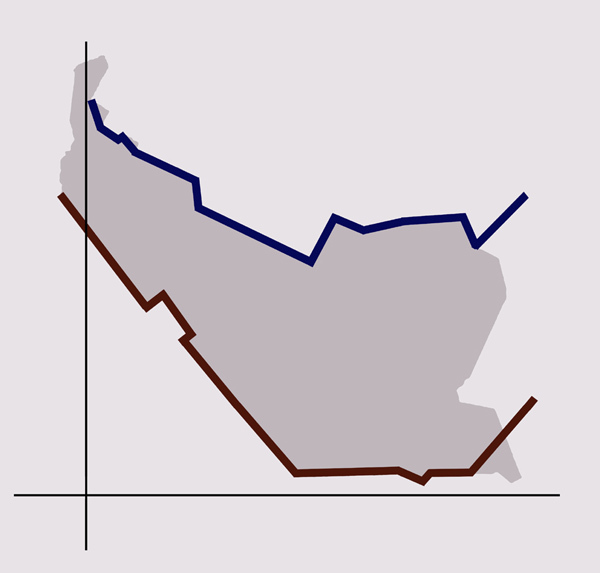 a forum and a series of talks on surviving as a parent and a creative person in our expensive city. 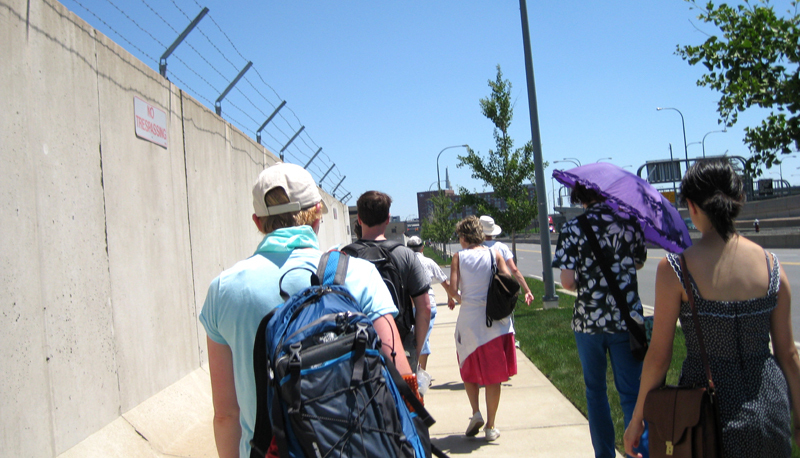 The Logan Airport sidewalk wander: exploring an airport's barbed-wire-lined sidewalks, while discussing terrorism and Logan's history of expansion. 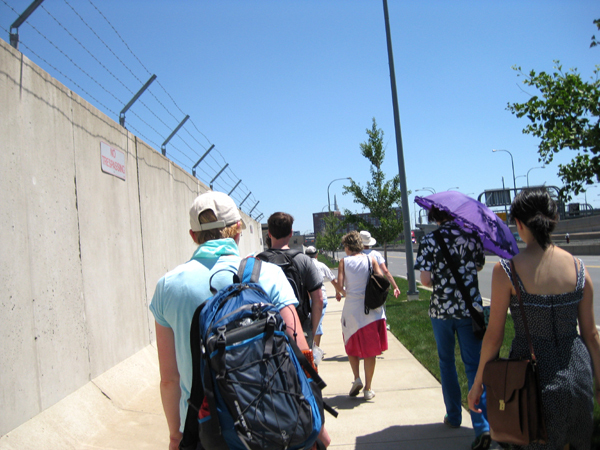 People's Tours: exploring the Boston area's rich history of contested spaces and important protests. Play-jurisms! 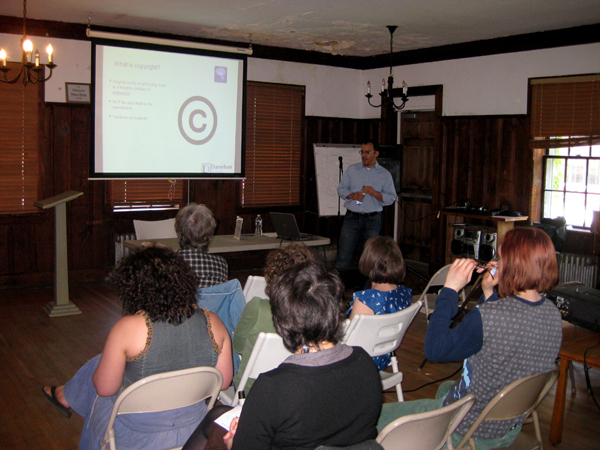 A conference on copyright for creatives. 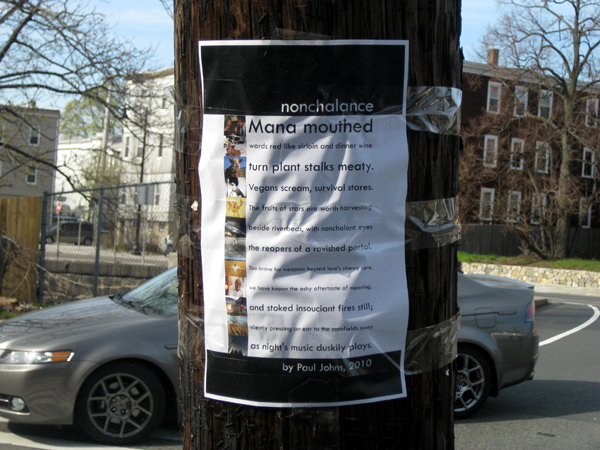 Poems by Paul Johns: guerilla street poetry. 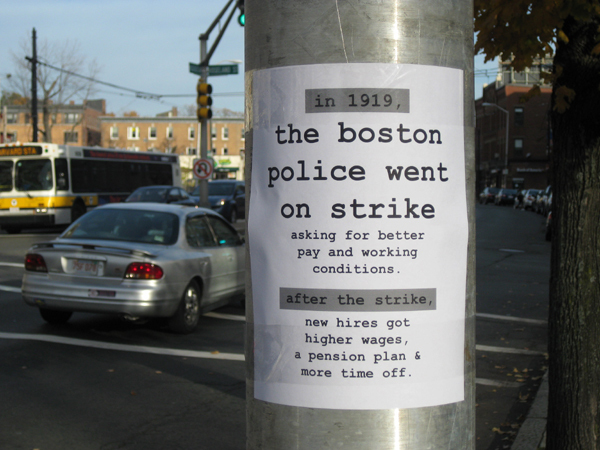 Sidewalk history: street posters about historic strikes, protests, and sit-ins. With security cameras... you're the star! A pamphlet I made during Occupy Boston about surveillance cameras. 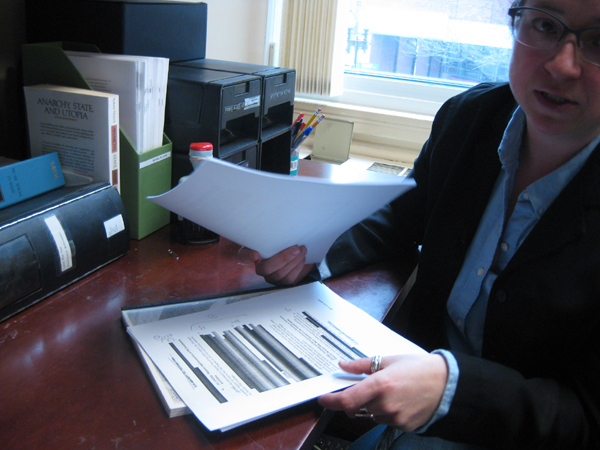 Behind the black boxes: trying to make sense out of a heavily-redacted report on the FBI's involvement in the PRISM surveillance program. 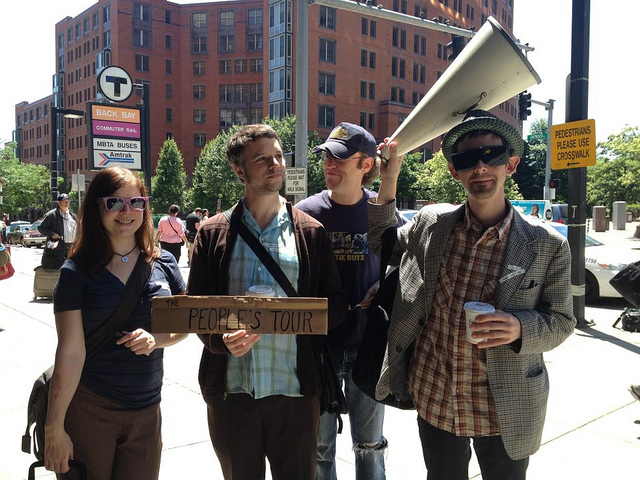 People's Tours: a social history of the South End. 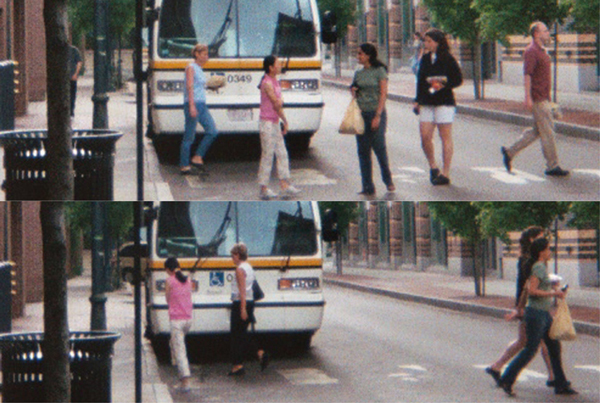 An article for MIT's Collaboration Lab about People's Tours. Copyright, appropriation, and creatives. An article Dave Taber and I wrote for the Massachusetts Cultural Council's Artsake about a conference we organized. 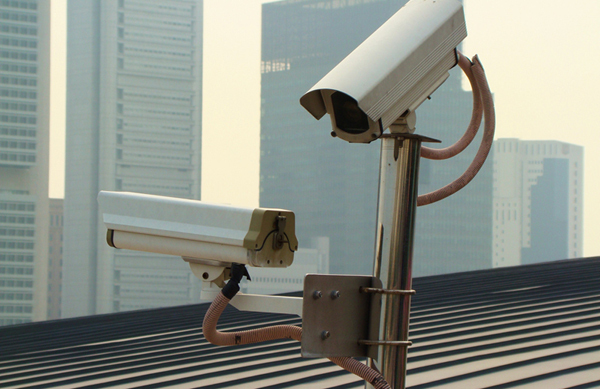 Security cameras are the new gargoyles. 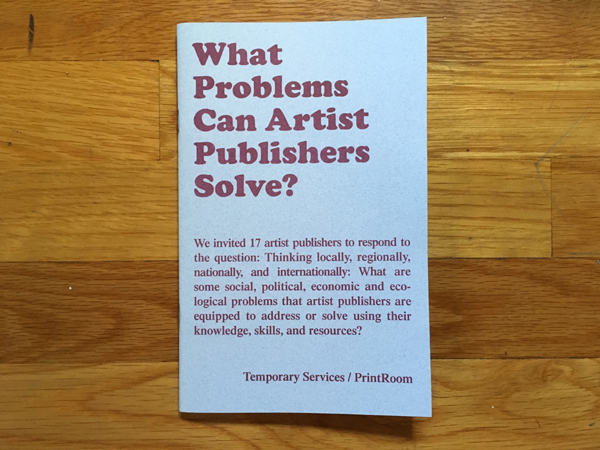 A photo zine on this important topic. 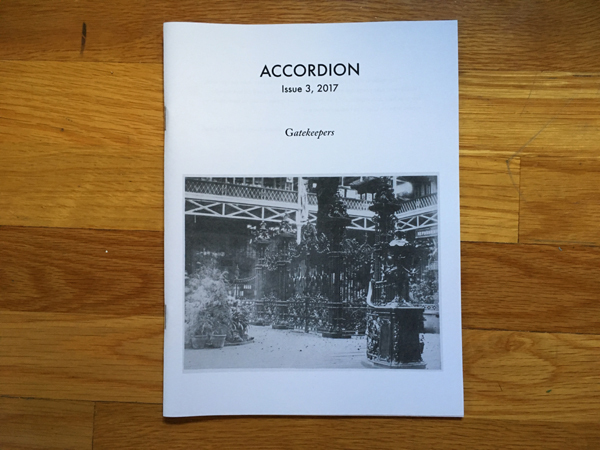 Accordion issue 3: Gatekeepers. I wrote a piece about not being a gatekeeper for Maggie Jensen's excellent arts zine, Accordion. Creative people and time management. An article I wrote about how creative people manage their time, based on a survey I made. Artists on how they get by. An article I wrote for the Massachusetts Cultural Council's Artsake about the Getting by in Boston discussion series. 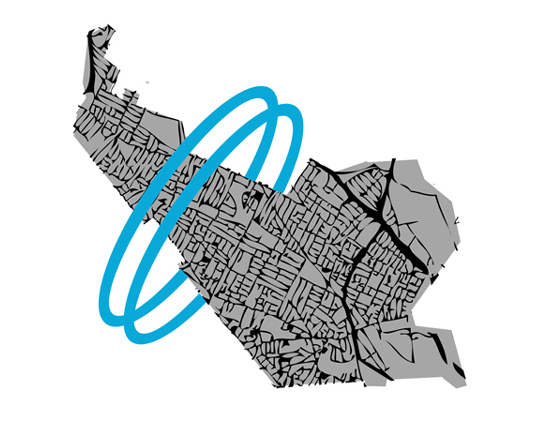 Future planning: The history of Somerville, 2010-2100. An article for MIT's Collaboration Lab about my community art project. 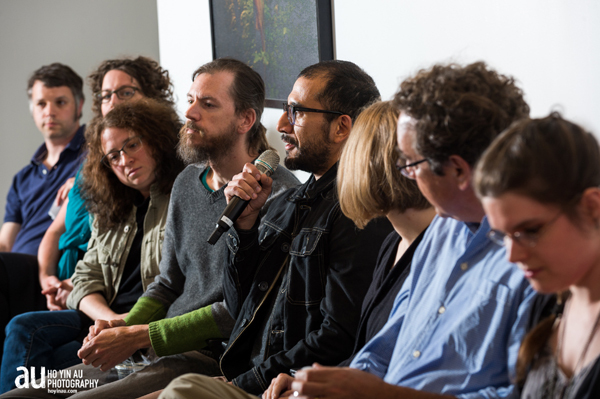 An experiment in survival: organizing creatives in pricey Boston. An article I wrote for Pyragraph about the Getting by in Boston discussion series. Creative parenting, Somerville style. 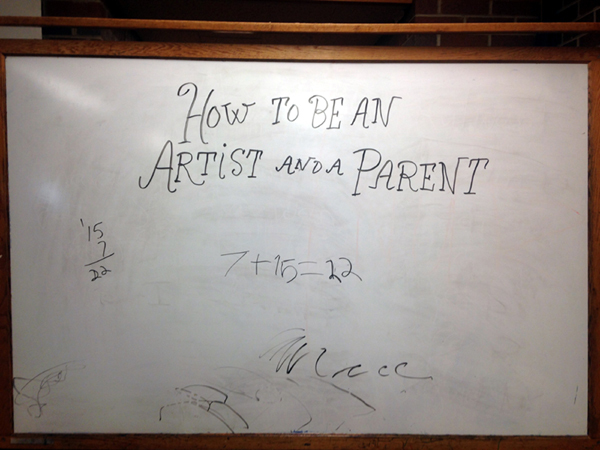 An article about a discussion event I helped organize, aimed at parents who are also artists. i left this here for you to read: a hand-made magazine that I launched. It was written, edited, designed, and illustrated by anyone who wanted to help-- and then left in public places by other volunteers around the world.